The handy work of Robert Tressell? ould this be the sign writing of Robert Tressell, author of the great socialist novel, The Ragged Trousered Philanthropists? According the media it could be. The lettering was revealed during the building’s restoration, and as you can see, it is in near perfect condition. Tressell lived in and around the seaside town of Hastings in East Sussex and at least three of his dwellings there have commemorative plaques on them. He certainly wrote the manuscript for his posthumously published title whilst living in the Hastings area. 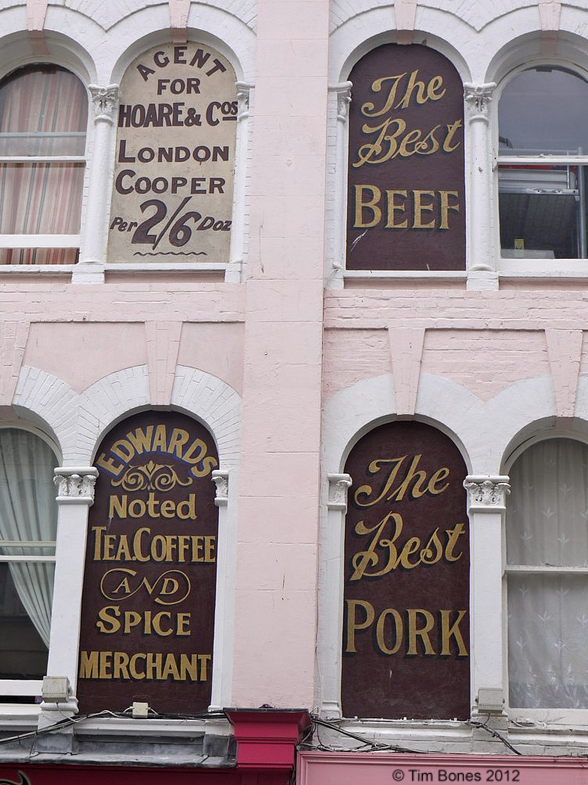 On looking at the lettering in Kings Road, St. Leonards, one can really get a feel for what many streets may have looked like with an array of hand rendered signs peppered throughout. The image below shows Kings Road in the Christmas of 1908, just three years before Tressell’s death from TB. The lettering attributed to Tressell is—and probably was then—visible just above where the little cart can be seen sitting on the right hand side of the road. 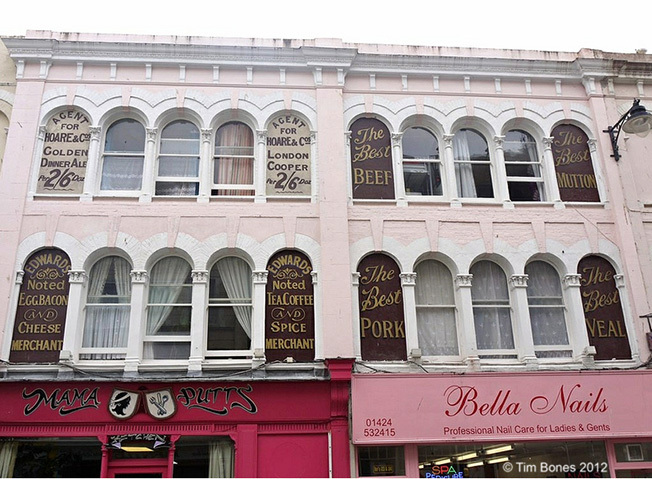 Whether this is the work of Tressell or any other sign writer, my hope is that now this lettering has been exposed to the elements, Hastings Borough Council will help to ensure that these designs are kept in good repair for posterity. Kings Road, St. Leonards in 1908. I wonder what Tressell would make of the shop signage in today’s Kings Road?